The U.S. packaging company will close the gap on market leader International Paper by acquiring KapStone. Integration benefits should pay for the deal, and WestRock will gain new West Coast markets. Being bigger offers some insurance against a sluggish market. 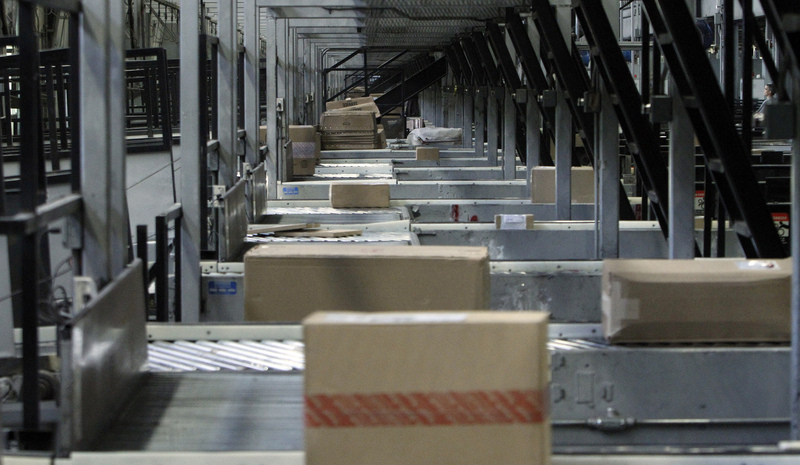 Packages travel on conveyor belts to be sorted at the UPS facility in Hodgkins, Illinois December 16, 2010. WestRock on Jan. 29 said it agreed to acquire KapStone Paper and Packaging for $35 a share. Along with the assumption of just under $1.4 billion of net debt, the deal has an enterprise value of $4.9 billion. WestRock, formed by the 2015 merger of MeadWestvaco and RockTenn, said it expected to generate $200 million a year in cost savings and performance improvements by 2021. KapStone shares were trading at $34.50 at 1050 EST, 30 percent above their closing price on Jan. 26. WestRock shares were down 3 percent to $68.18.